Honda Motor Company, Japan's second-biggest carmaker, halted production at its four Chinese auto plants after workers at a parts factory went on strike demanding a pay raise. Talks between labor and management broke down Monday (May 24th) and Honda is unsure when production will resume. The protests were triggered by workers at the company's transmission facility in Foshan in Guangdong Province. Output has been suspended since Monday's night shift at both the Zengcheng facility, which produces the mainstay Accord sedan, and the Huangpu plant. 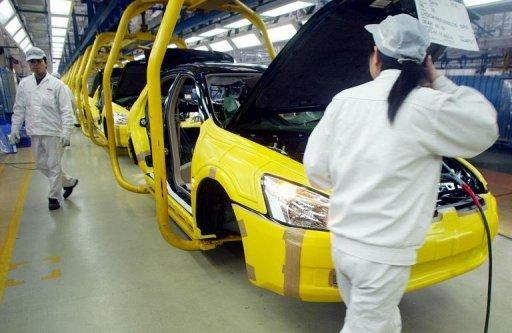 At the Wuhan facility, which churns out the Civic and other offerings, production came to a standstill beginning with the night shift Wednesday. The walkout is the first to affect Honda's production in China, said Yasuko Matsuura, a Tokyo-based spokeswoman for the carmaker. Trade unions and employers appear to be reporting a growing number of strikes in China, although there are no official numbers, according to Chang-Hee Lee, a Beijing-based industrial relations specialist at the International Labor Organization. The 1,850 workers at the parts plant are demanding monthly pay be boosted to between 2,000 yuan (just over £200) and 2,500 yuan, from 1,500 yuan. The strike is continuing and the workers union is following labor laws and regulations, its chairman, who identified himself only by his surname, Wu, said when reached by phone today. He declined to comment further. The parts factory, a wholly owned Honda subsidiary, started production in 2007 and makes transmissions for the Accord, City Odyssey and Fit models. Honda plans to raise production capacity in China by 28 percent to 830,000 vehicles a year by the second half of 2012 and introduce two new models as car demand grows in the country. Interesting article in the NY Times about this strike.. def worth a read..
Workers here have discovered the same weapon that the United Automobile Workers used to become the most powerful industrial union in the United States: shut down a crucial parts factory, and auto assembly plants across the country have to close. “In terms of shutting down a multinational’s entire operations, I think this is the first” in China, said Geoffrey Crothall, the spokesman for China Labor Bulletin, a labor advocacy group based in Hong Kong.